Save $1000’s in daycare costs by becoming a stay at home or work at home father! Let an expert dad convince you to make the switch in this hilarious short read. Parenting is hard, but becoming a stay home father? That can feel as if you’ve just entered the Twilight Zone! Why is this book right for you? Simple. Most parenting books ask you to study a 300 page manual full of sunshine and roses. Don’t waste your time! New parents don’t want step by step instructions (this stuff isn’t rocket science). 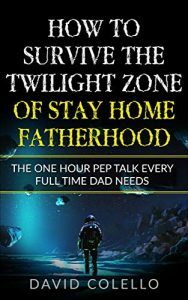 What dads like you need is a tough as nails soldier who has seen the horrors of the parenting trenches firsthand. You need someone to slap you hard in the face and get you back onto the battlefield ready for war. In short, this book has everything you need to hear, but none of the empty page fillers found in most parenting books. This book is bargain priced from 05/05/2015 until 05/12/2015 Check book price before you buy, as prices can change due to expiration of the sale or other technical issues. Babies Come From…Where?!? is the result of hundreds of interviews with children ages three to twelve, who were simply asked “Where do you think babies come from?” and allowed to answer freely, giving as much or as little explanation as they saw fit. It began as part of a larger class project by teacher Kristi Porter and the children of Happi Kamper Child Care, located in North Muskegon, Michigan. Each child was to create an individual gift book for his or her parents and Babies Come From… Where?!? was simply to be one chapter in each child’s book. Now, the individual answers of the Happi Kamper Kids, as well as those of the children at Community United Methodist Preschool, and the kids of Power Play Childcare have been combined. Their candid, uncensored and often hilarious answers may surprise you, or even make you laugh out loud as you get a quick glimpse into the amazing and intricate minds of some of the most delightful and fascinating children around. Enjoy! It happened in the middle of a math class. The teacher asked a question which I knew the answer to…it was as clear as day so I decided to pluck up the courage to raise my hand. That’s exactly what happened to me. At that moment, when I realized that I was going to speak, I went silent; I forgot what I wanted to say. Interested to read what happened next? There are no two ways about it – the ways to become successful, cool and confident are already inside of you! You already have the inner strength to help you get there and this book will show you how to use it! From American writer Mary Rowen comes DOUBLE ALBUM: TWO NOVELS. This unique collection paints the complexity of music through the stories of two very different women, both of whom march to the their own distinct rhythms. LIVING BY EAR is about a forty-something mother of two teenagers who is trying to divorce her husband, resume her music career (after a sixteen-year hiatus), and also take a second chance on love. LEAVING THE BEACH focuses on an obsessed rock music fan who also suffers from severe eating disorders. 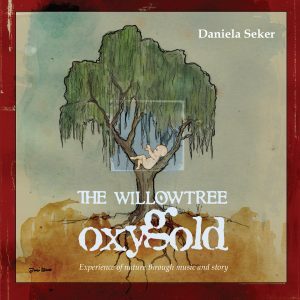 It’s a gritty story about illusion, reality, and the odd ways that music can blur the lines between the two. I have been blessed with two wonderful daughters. As they entered their teenage years and I realized how brief my time with them was, I wanted to give them something that would remind them who they are and how much I love them. I also wanted to give them advice about some of the most important decisions and events they would face in their lives, and I wanted them to have access to this information even if I was deceased. So I wrote a series of letters over a period of several years. Initially they were intended only for my daughters, but as the project neared completion I realized that women of every age and walk of life—even those who didn’t know their fathers or have particularly good relationships with them—might benefit from the truths contained in these letters, because every woman is a daughter of her Heavenly Father who loves her dearly. Gerry Baird is a part-time music teacher and writer based in north central Utah, USA. He loves to help others grow and develop their talents, especially children and teenagers. He has an MBA from Utah State University and would rather be spending time with his family than doing anything else. The reality check is here! Being a single mom is far from rainbows and unicorns. 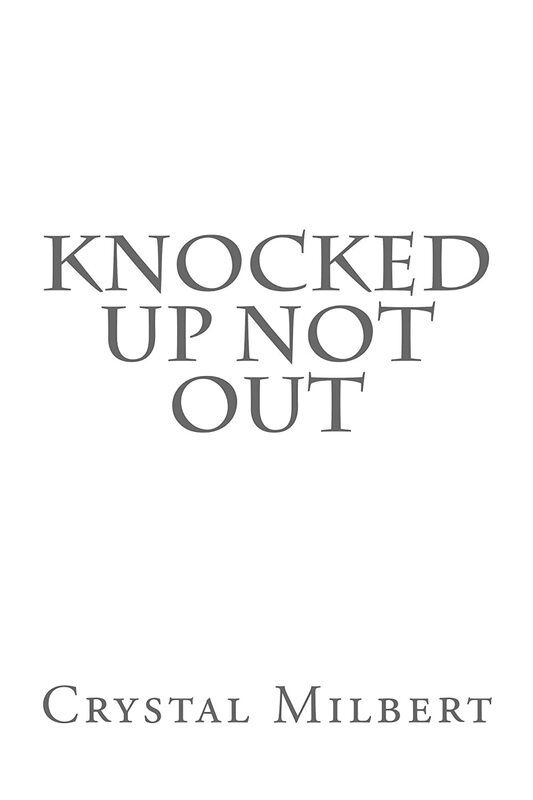 From the breakup to the parenting plans that actually work and everything in between, Knocked Up Not Out tackles some of the most difficult situations single moms face.